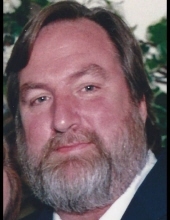 John M. Finn, age 64, 16 year resident of Romeo, MI, passed away at Troy Beaumont Hospital on January 28, 2019. John was born to Robert and Marjorie Finn on February 20, 1954 in Detroit, MI. John served in the Army in Germany. He had multiple jobs for the government in Social Work. He earned his Masters Degree in Social Work/Business. John married Jean (Wainwright) on September 15, 2003. John is survived by his wife Jean, Drew (Kim) Hale, grand children McKenna and Asher, and brothers Robert and Kevin both of Phoenix, AZ. A burial will take place on May 10, 2019 at 10 am at The National Memorial Cemetery in Arizona (23029 Cave Creek Road, Phoenix, AZ 85024). To send flowers or a remembrance gift to the family of John M. Finn, please visit our Tribute Store. "Email Address" would like to share the life celebration of John M. Finn. Click on the "link" to go to share a favorite memory or leave a condolence message for the family.